Daniel 'Chappie' James Jr. was born. 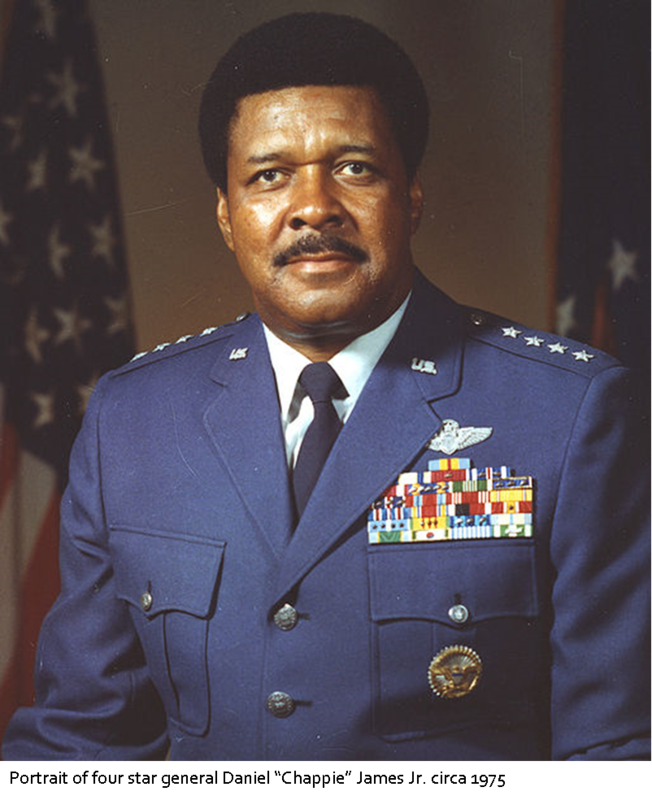 1920 - Daniel Chappie James Jr., the first African American to reach the rank of four star general, was born in Pensacola on this date. James grew up in Florida and became interested in flying at a young age. He later graduated from the Tuskegee Institute in Alabama in 1942. He trained African American fighter pilots during WWII. During the Korean War, James flew 101 combat missions and 78 during the Vietnam War. In September of 1975, James was promoted to four star grade and was assigned commander in chief of NORAD/ADCOM at Peterson Air Force Base in Colorado. A few of the many decorations James received throughout his career include the Distinguished Service Medal, Legion of Merit, and Distinguished Flying Cross, as well as an honorary doctor of law degree from the University of West Florida. General James died just weeks after retiring from the Air Force in 1978 and is buried at Arlington National Cemetery in Virginia.